Construction of the $950-million MGM Springfield casino resort in Springfield, Massachusetts has reached its halfway point, city officials confirmed at a press conference on Thursday. It was also understood that the property may open doors earlier than it is slated to. MGM Springfield is one of two projects for the construction of Massachusetts’ first commercial casinos, the other being Wynn Boston Harbor. Both plans were given the green light by the Massachusetts Gaming Commission after a statewide referendum authorized commercial gambling activities. MGM Resorts International, the gambling operator behind the ambitious Springfield project, broke ground on the property more than a year and a half ago. After multiple delays and changes in the originally devised outlook of the complex, it became clear that it would likely be launched in the fall of 2018. MGM Springfield’s opening is highly dependent on another construction project – the ongoing renovation of a portion of the nearby Interstate 91. It was announced on Thursday that work on the $183-million highway project is ahead of schedule and that a “full beneficial use” is likely to be reached sometime in May 2018. This means that MGM Springfield will be able to open doors earlier than slated. MGM Springfield representatives did not attend the Thursday press conference with city officials, but a spokesperson told local media that work on the complex has progressed greatly over the past several months and that they are comfortable to say that Springfield will have its casino in September 2018, or about a year and a half from now. 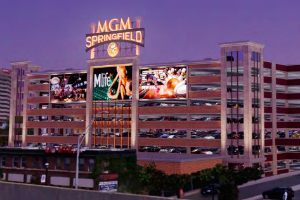 MGM Springfield is expected to become a major tax contributor to the city once fully operational. Developers have also pledged to create at least 3,000 casino jobs, most of which full-time ones. Last month, a special Casino Oversight Committee was created to monitor MGM Springfield’s construction activity and future operations and to make sure that the casino complex meets community expectations. The five-member council is set to meet with casino representatives and to discuss the standards that should be met during construction and afterwards. Multiple meetings will be taking place in the weeks and months to come and they will all be open to Springfield residents. One such meeting is slated to take place within a fortnight. Terry Davis holds a degree in Psychology, but it was after his graduation that he found his real passion – writing. 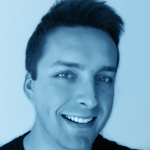 Previously, he worked for a local news magazine.